December's Master’s Letter: Farewell to the East! Back in 2009, I was unhappy, sour, quick to anger, and I wasn't doing anything to improve it. In fact I was spiraling in my own dissatisfaction with nothing in particular (or in retrospect: myself). My wife told me I should "get out of the house more." Little did any of us know that that comment would lead us to this email today. 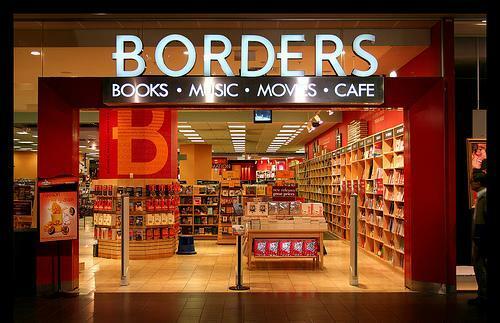 Starting out as a socially awkward, quick-to-put-his-foot-in-his-mouth introvert, it pushed me out of my comfort zone to make an arrangement to meet WB Seymour at the Borders in Arborland. Now both Seymour and Borders are gone, but that meeting left an indelible mark in my life and kicked off a journey of self discovery and improvement that lead me through the east. "What do you think, you sure you want to do this?" Seymour asked me. I wasn't, but again I pushed myself and said "yes" anyway, and he gave me a petition. And so began my journey in Freemasonry. What I saw so inspired me, I had to get involved. Getting involved meant I would have to continually push myself to find new ways (and sometimes new recipes) to push through obstacles, both internal and external. First as Steward (I had to roll up my sleeves and help), then as Chaplain (I had to memorize those beautiful prayers), then through the officer line (each chair more difficult than the last). With some tragedies along the way, I had to adapt on the fly. I had to learn and improve skills I had no intention of learning or improving. Skills I was perfectly happy to let atrophy because of their distance from my comfort zone. The result is what you see before you, a slightly less socially awkward, marginally-less-quick-to-put-his-foot-in-his-mouth mostly-introvert, and about to be your immediate past master. Brothers, I call that a success! I couldn't have done it without all the love and support you've all given me over the years. The officers, the past masters, the brethren, you all helped and encouraged me along the way and that was the catalyst for everything I did. Now begins the next chapter, the journey of this past master to reflect and continue to push myself for the rest of my days so that, when I meet my maker he'll be sure to remark: "Not bad, Dude. Not bad". Hope to see you all at my last meeting, our December 5 Regular Communication, where I'm sure to make some outrageous motions that just may pass if you're not there to vote "no". WINNER: Thomas Hathaway Takes the Gold at Regional Ritual Contest! Jackson Lodge #17 hosted the Region 6 Ritual Competition this last Saturday, Febuary 17. Our Brother Thomas Hathaway won the MM competition and WB Eugene Chapel (Parma #183) won the PM competition! We wish them both good luck when they move on to the State competition to be held in April! Pictured, from left: RWGL Thomas Braun of Cedar Lodge #60, Sam Mogg of East Lansing #480, Thomas Hathaway of Ann Arbor #262, Russell Chapel standing in for brother Eugene Chapel, both of Parma #183, Mike Bohnet of Cement City #435, Jim Rutherford of Howell #38, Frank Peters, Region 6 RGL of Webberville #485.